This late 1800's authentic Vermont farmhouse is located in beautiful Sterling Valley, yet only 7 minutes from the Village of Stowe and 15 minutes to Mt Mansfield. This cottage is ideally suited to one or two couples who want a quiet getaway. Wood burning fireplace, beamed ceilings, wide board floors and views of the fields and mountains gives it charm galore. There are 3 bedrooms upstairs, one large with king bed and 2 smaller rooms for a double and single. Open kitchen, dining, living room with fireplace, and washer/dryer included. A network of trails nearby provide excellent hiking, snowshoeing and x-c skiing opportunities. Dogs are welcome, at no additional charge, and will love the walks. Had a great time at the cottage for a long weekend. The cottage was so well equipped and nicely decorated! It was toasty warm and the wood burning fireplace was such a nice touch for a snowy Vermont weekend. Can’t wait to go back! We confirm past reviews. We had a wonderful stay. Everything worked perfectly in the house and we appreciated that it was supplied with everything we needed other than food. We were impressed with the quality and newness of fixtures around the house as well as of the many pots/pans in the kitchen. Everything was very neat and clean. The house looks small from the outside, but feels roomy when you're inside. We specially loved the many windows on all its sides bringing in lots of natural light and beautiful views. The house was perfect for our family of four, with older children, and our dog. One thing not mentioned in previous reviews: the roads to the house are excellent and very well maintained. No problem getting in and out despite wintry weather. 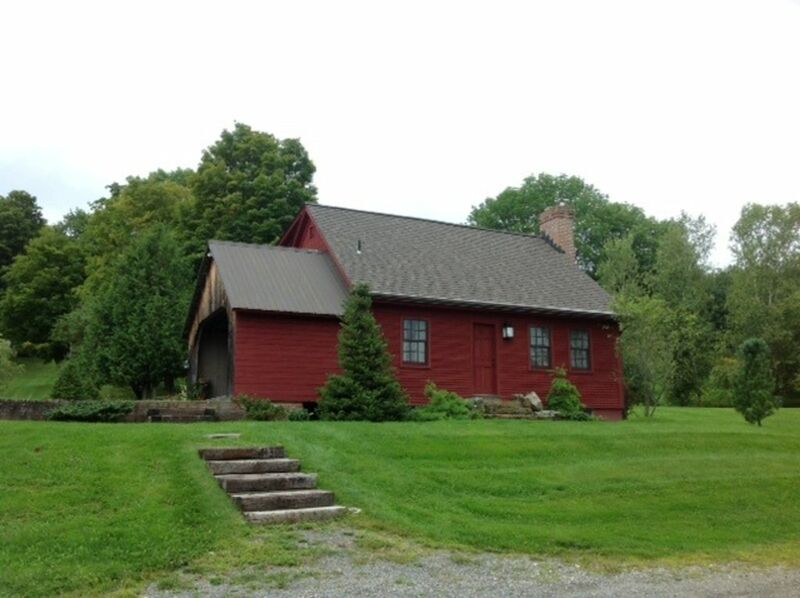 The house is in a peaceful, semi-rural neighborhood, about 10 mins from Stowe and the main road. A magnificent pack of deer came near the house almost every day. The owners were very responsive and kind, a pleasure to deal with. Thanks for the fabulous vacation! Perfect spot. Cozy, well maintained. Nice location, relaxing and inviting. Good for skiing vacation. The photos of this property do not do it justice. What a great cottage! Very nicely done, very clean and a gorgeous setting. Our kids had a blast sledding down the hill and watching the deer walk by in the evenings. Incredibly quiet and private. Did I mention the night sky? Wow, the stars! Will definitely try and stay here again. Wonderful place for a vacation! This cottage was quaint, but still had enough room to move around. There were dear on the lawn every evening and tons of space for our dogs. It was perfect! My wife & I really enjoyed our stay at the country cottage over the holidays. Close enenoigh to town so it isn't a big to do. And far enough away to feel away from it all. The inside of the cabin is so charming and warm...we just really loved the place. Easy check in process and instructions with the cabin. Functional kitchen, you just might have to get a little creative with the pots and pans if you plan on cooking much. Just book the place, you will love it! Stowe and the surrounding areas are well known for exceptional outdoor pursuits opportunities. The beauty of the scenery draws people all year round who like to ski, hike, bike, golf, play tennis and walk as well as those who enjoy the concerts, antique and craft shows, car shows, dog shows and other local events. The quality of life here is exceptional and appreciated by many.